Grab your packs and let’s go an overnight trip to one of the country’s majestic active volcano. On top of the exciting early morning bumpy off-road vehicle ride and trekking to the lake you will also visit and swim at a newly discovered amazing waterfall, camp by the lake shore of the volcano overnight and hit the beach before heading back to the city grind. Witness Mt. 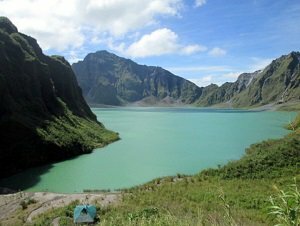 Pinatubo without the weekend crowd --- just you and Mother Nature. Allow the silence to settle you down and welcome the calmness that will envelop your entire being. Here, there is no need to hurry. And you can be sure that the million-star galaxy blanket nature will provide for you will be more than enough. So close your eyes and take a deep breath --- inhale positive energy in, exhale negativity out. TRIPinas is excited to present to you a new take on seeing Mt. 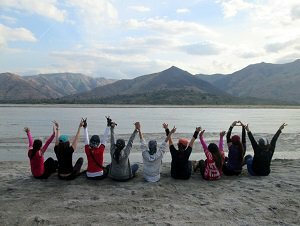 Pinatubo; one that goes beyond the 4x4 vehicle ride and having a brief picnic lunch at the lake. You can consider it as the 2.0 version but the main idea behind this package is to take a closer look at how this volcano has shaped the landscape and its people before, during and after the eruption. You will have two days to explore the volcano and its scenic canyons and waterfalls on a more relaxed manner allowing you to interact more with the Aetas, do some bird-watching and check out the geological formations in the area. Watch the clouds roll in and across the sky affecting the color of the water of its infamous lake. Share stories over campfire as you cook with your local guide. Exchange jokes as you set-up your tent and hopefully realize that we city-dwellers share more similarities than differences with those of our mountain brothers and sisters. Php2790/person (if you are 12 people in your group) - We have a summer PROMO! Your coordinator will pick you up early morning from the pre-agreed location. After a briefing, you will board the private vehicle that will take you the base camp. The ride is 3:30 hours long so you can definitely sleep in the car/van. Upon arrival at the base, you will meet your local guide and off-road vehicle driver. You can have your breakfast and freshen up there before the trip. The one-hour off-road vehicle ride will be bumpy and uncomfortable. As you will be crossing several rivers, expect to get wet. You will be sharing the lahar canyon with some cattle and egrets. You will also encounter a parade of Aetas with their beloved carabaos transporting their goods from the mountain to the lowlands. 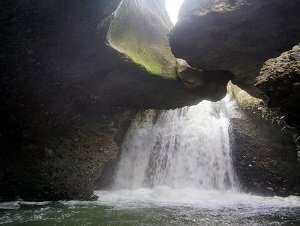 On the way to the jump-off, you will have a side trip to hidden waterfalls. You will trek for about 30 minutes to reach the basin of the cascades. You can swim or cliff-dive here so make sure that you have your swimsuits ready. After this, you will hike back to where your off-road vehicle is parked so you can continue your ride to the trail head. Your hike starts at jump-off- this is also where the vehicle and its driver will stay for the night while you, your guide and porter continue your way to the lake. You will pass by an Aeta community with a 360 view on the mountains. They are friendly and curious so don’t be afraid of them. Overall, the hike will generally take about two hours. You will be passing several streams, lahar canyons and enter a treeline. Take it slow and you may spot some pipits and lowland white-eyes. After going up a flight of steps, you will finally reach the view deck. Congratulations! You can help your guide set-up your tent and cook your meals. As you will be arriving lunch time, the big crowd has already left and you will have the place all by yourself. Go ahead and walk along the lake shore. Take your binoculars with you and try your luck in spotting some mynahs and jungle fowls. Remember that swimming at the lake is still not allowed but you can dip your feet in the cool waters to freshen up. You will be sleeping inside a tent but if the weather is good (i.e. not raining), you can also set-up your hammock and enjoy the cool breeze of the night. The following day, enjoy your breakfast before packing up and walking back again on the same trail to reach the off-road vehicle that will take you back to the vehicle. You have the option of taking the ATV ride at the base or do some Kayaking or head to the beach for a swim and lunch. After you have finished your weekend adventures, the van will take you back where you were picked up from in the morning, hopefully with a smile on your face and a better understanding of Mt. 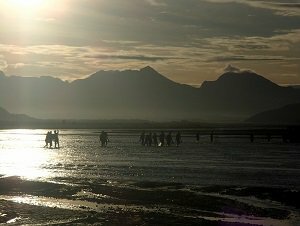 Pinatubo and its people. After ten years of organizing tours in Mt. Pinatubo we are glad to share our expertise with you. Take a few minutes to read the information below. ❶ Where is the pick-up point? If you require a land transfer, we can arrange the meet-up in Metro Manila, Pampanga and Zambales. If you are bringing your own vehicle or take the public transportation, you can meet our team directly at the base. ❷ What is the tour type? Private. This means that the tour is exclusive to your group. You will have a dedicated guide and off-road vehicle for your group. ❸ Is it safe to camp overnight by the lake shore of the crater? As we work closely with the concerned local government units and PHIVOLCS, we can assure you of your safety. We regularly monitor the weather to ensure a real-time update on the mountain conditions. ❹ What is the degree of difficulty of this activity? Walking there is easy. Anyone with a reasonable level of fitness will enjoy the trail. 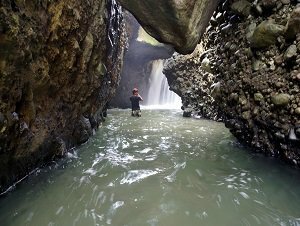 Knowing how to swim will be an advantage to fully enjoy the waterfalls activity and the side trip to the beach. ❺ When is the best time to go? November to early June or whenever the rainy season starts. 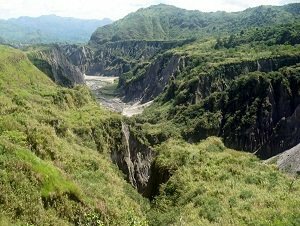 Do not attempt to visit the place when there is a strong rain or a storm/typhoon, you will end up trapped in the Canyon. ❺ Are all the fees included? Yes, all of them. Which means on the day you have nothing else to pay and can just enjoy traveling.